Mohammed Badie - Who is Mohammed Badie? 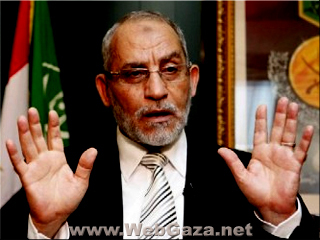 Mohammed Badie is the eighth General Guide of the Egyptian Muslim Brotherhood. Born in Mahalla al-Kubra, Badie studied and taught veterinary medicine and is currently a professor in the Department of Pathology Faculty of Veterinary Medicine at the University of Beni Suef, Upper Egypt. Badie joined the Egyptian Muslim Brotherhood in 1959 and was sentenced to 15 years in prison in 1965, along with other Brotherhood members accused of being active in the group's paramilitary organization. Badie was released from prison in 1974 after serving only 9 years of his sentence and resumed teaching. He has been imprisoned on several other occasions since that time. Mohammed Badie became a member of the Muslim Brotherhood's Guidance Bureau in 1996 and the International Guidance Bureau in 2007 after holding various positions in administrative offices. In January 2010, he succeeded Mohamed Mahdi Akef as General Guide in an unprecedented manner, as Akef was the first Brotherhood leader to relinquish the leadership position while alive. Mohammed Badie's election was generally viewed as a victory for the Brotherhood's conservative wing and a marginalization of its reformist trend. Upon being elected, Badie reaffirmed the organization's commitment to nonviolence, gradual and democratic reform, participation in politics, and da'wa?or social work. Under his leadership, the Brotherhood seems, as of September 2010, determined to participate in the 2010 parliamentary elections.